An authentic Persian rug is a treasured possession. These gorgeous rugs can be found in homes and offices all over the world. Just knowing that they have been hand knotted adds even more value to these works of art. 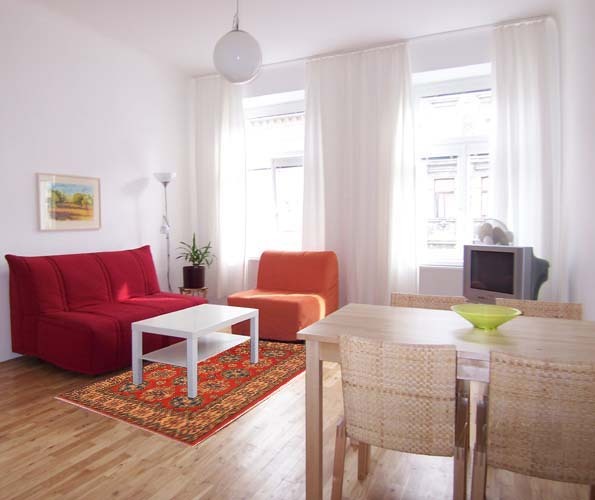 However, these are not the only types of rugs that you can find today. In addition to hand knotted rugs, when you go looking for rugs, you will find that there are also several types of machine made varieties. With so many machine made rugs and Persian look-a-like rugs available in the market today, if you have not done your research you can find it difficult to tell if the rug you are looking at is authentic Persian or just Persian-looking. Sometimes the similarities are so close, specially if they are hand knotted, that is almost impossible to tell them apart without a proper inspection. 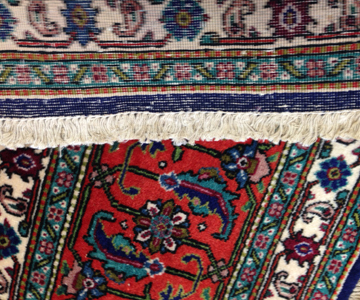 Here are a few things you should look for to determine if a particular Persian rug is authentic. Only rugs that are manufactured in the middle eastern region in Iran can be called true Persian rugs. You will see that all of these rugs are always made by hand. Machine made rugs do not originate from these regions. They are mostly manufactured in the US and a few countries in Europe. 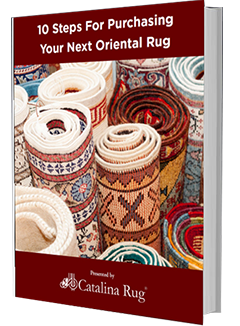 Besides the more obvious machine made rugs, other types of hand knotted rugs can be made in Pakistan, India, China and several other countries in the Orient. These types of hand knotted rugs are beautiful in there own way, but it’s important to note that unless the rug is made in the country of Iran, it is not a true Persian Rug. It is very rare to find a handmade rug that has a perfect design on the front as well as the back of the rug. Because these rugs are woven by hand on very basic types of wooden looms, they are bound to have a few imperfections all over the rug. 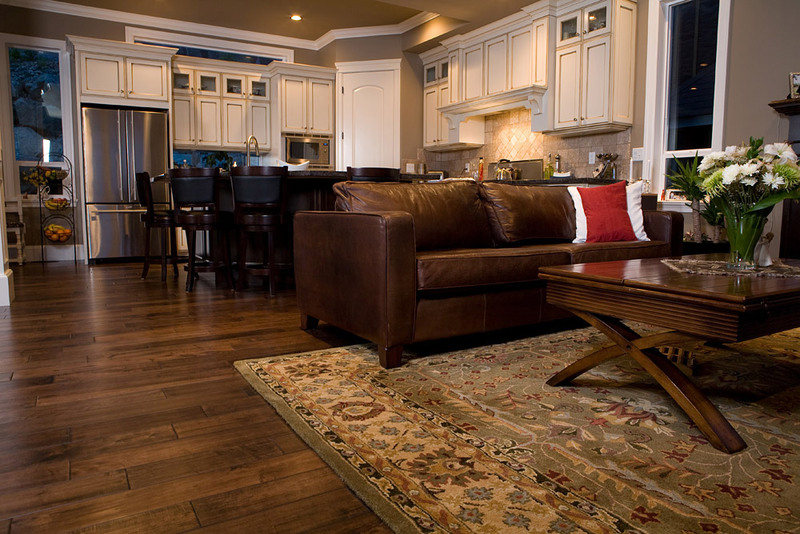 These imperfections are expected and do not in any way lower the value of the rug. Machine made rugs on the other hand will always certainly be perfect on the front as well as the back of the rug. Rugs that are machine made will also have a kind of mesh covering the underside of the rug. It is not very easily visible but it is there. 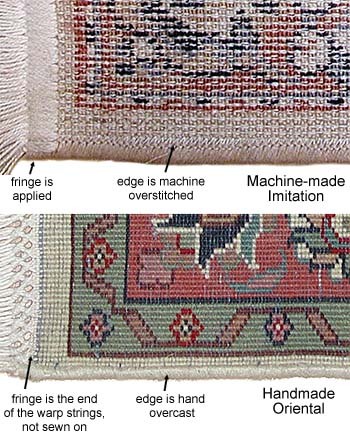 The image below points out some of the major difference you will see between hand knotted rugs and machine made rugs. 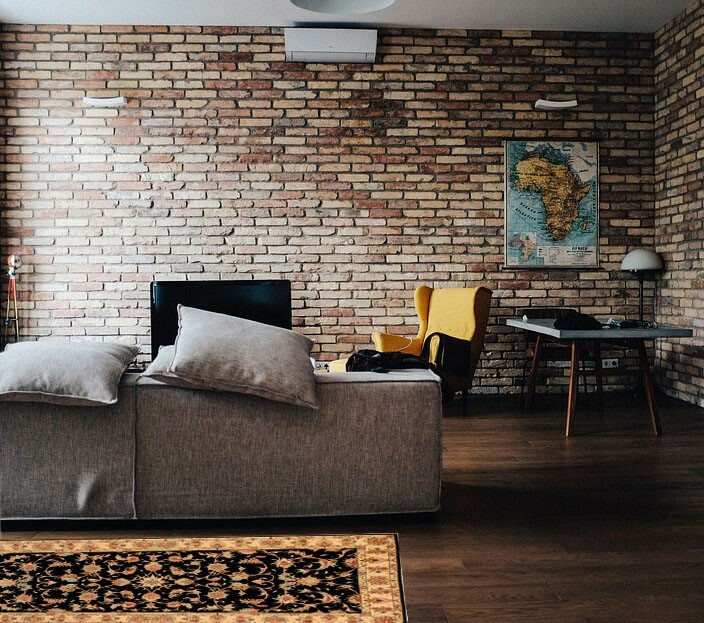 In authentic Persian rugs, the fringe is part of the body of the rug itself. 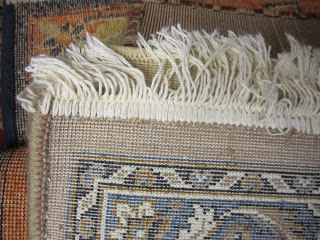 It is formed during the weaving process and looks like an extension of the rug body. In machine made rugs, the fringe is not created during the manufacturing process. It is in fact rather sewn onto the rug after the rug is completed. Take a closer look at the part where the fringe is attached to the body of the rug. If you can see that is has been sewn to the rug then you know the rug is genuine. If you are interested to read more about Persian rugs please visit our rug encyclopedia and checkout our huge gallery of authentic Persian rugs.